Dr. Ida Bronfman, MD, is the Medical Director and founder of Dr. Bronfman Beauty. Dr. Bronfman is a diplomate of the American Board of Internal Medicine and has been in private practice since 1995. She takes great pleasure in providing comprehensive and personalized medical care to the diverse community of New York City. She has always held a passion for aesthetic medicine, nutrition, and wellness, which has now led her to open Dr. Bronfman Beauty. She is proud to offer anti-aging and cosmetic treatments, utilizing the latest cutting-edge technologies to achieve the best possible outcome with minimal downtime for her clients. 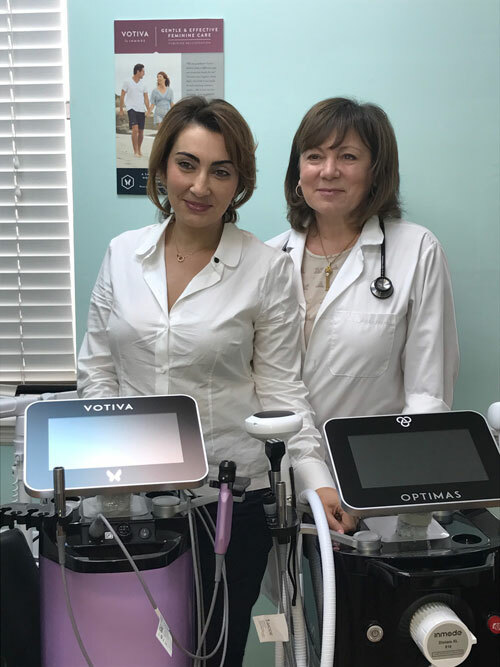 Abigail Inoyatov, RN, has been a part of Dr. Bronfman’s practice for more than twenty years. Besides her outstanding credentials as RN, Abigail received extensive training in aesthetic medicine, which includes training in the administration of Botox® Juvederm®, PRP (Vampire Facial), IV Therapy, as well as various procedures utilizing InMode Aesthetic Solutions technology. Abigale’s skills, diligence, and personability assure that all her patients achieve their skincare and beauty goals. Contact us! We would love to hear from you!